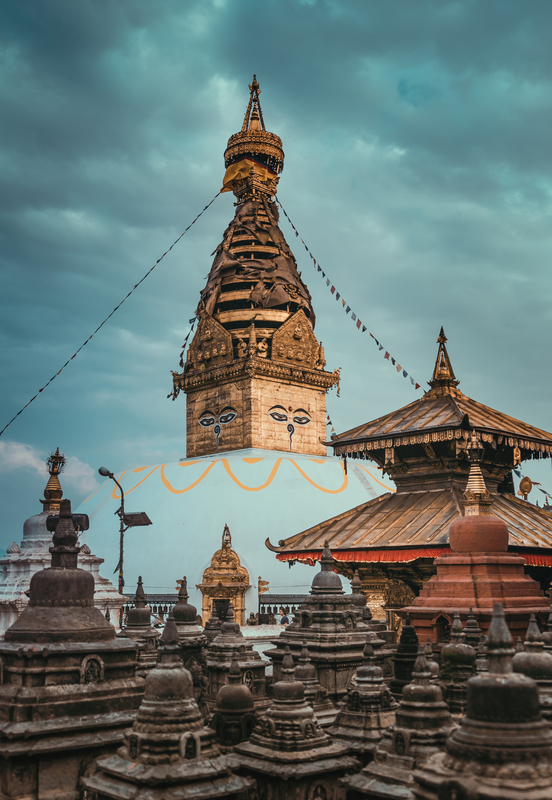 Legendary Swayambhunath aka The Monkey Temple in middle of Kathmandu is one of the oldest religious sites in Nepal. It’s quite nice but not the most magnificent temple ever. The views however are really good over the city of Kathmandu. It really gives you perspective how big the city really is. It’s not just Thamel and all the nice tourist stalls. There are holy monkeys hanging in the area. Don’t mess with the monkeys. And they will steal your stuff. Tip: Actually the smaller temple area next to Swayambhunath, Buddha Amideva Park is at least as interesting as the monkey temple itself and it seems that the monkeys like it too since the area is crowded with them.